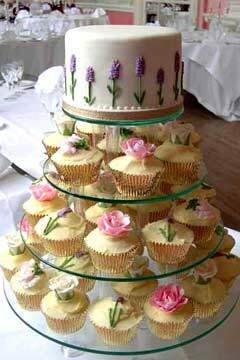 Cupcake tiered wedding cake designs are the modern alternative to modern wedding cakes. 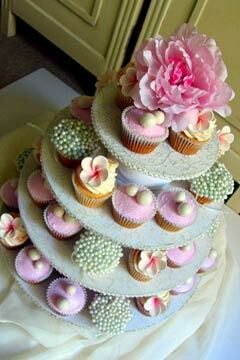 Having wedding cupcakes as your wedding cake instead of the traditional cake can be really cost effective. 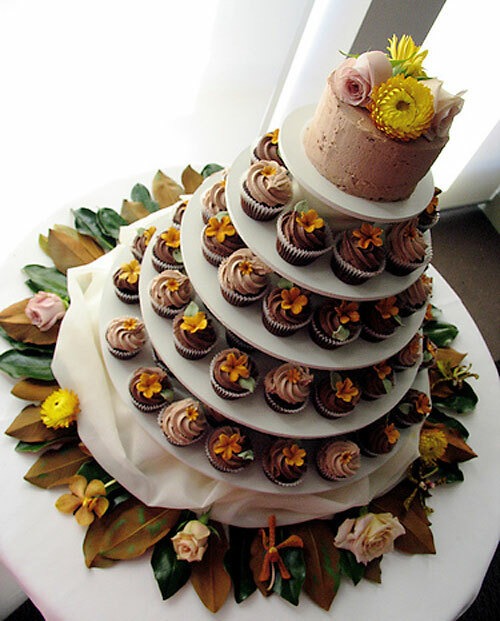 Most of the wedding cake costs are in the elaborate cake decorating, sugar paste or gum paste flowers, intricate scroll work and the tier structuring when securing single wedding cakes on top of each other. 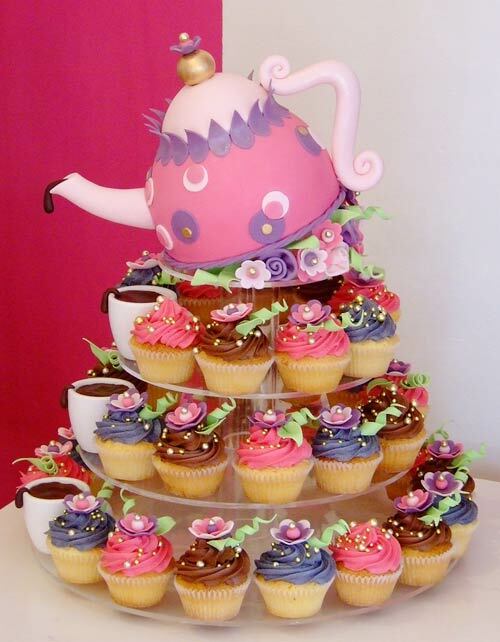 However, if you choose to have miniature wedding cakes to give away as wedding favors, the one's that are covered with rolled fonant and decorated to look like the bride and grooms wedding reception cake, the cost of each mini wedding cake will go up considerably. So much work goes into completing each mini cake. 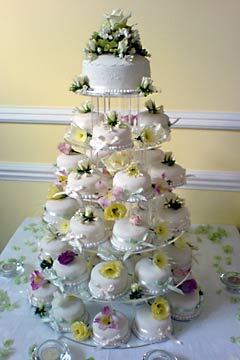 Single tiered cakes that are not secured to another cake are sometimes known as satellite cakes. You can have one satellite cake as the main cake on top decorated with a beautiful wedding cake topper and have cupcake wedding cakes on all the lower tiers on tiered cake stands or tiered cake plates. 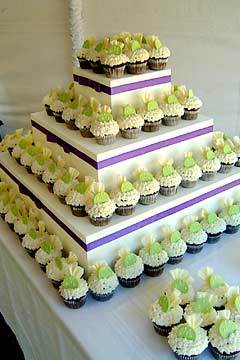 You can hire or rent wedding cake tier stands from your wedding cake bakery, or purchase them from a cake supply store, if you plan to make your own wedding cupcakes.